BMW ditched their traditional inline-6 when they introduced the 4th generation of BMW's M3 -- code named the E90 (sedan) and E92 (coupe). The purists might have missed the silky smooth balanced BMW 6-cylinder, but the new V8 put out more torque and horsepower than the outgoing model...and the best part is that they re-introduced a 4-door version. The only question I have is...when did the E90 M3 become affordable? 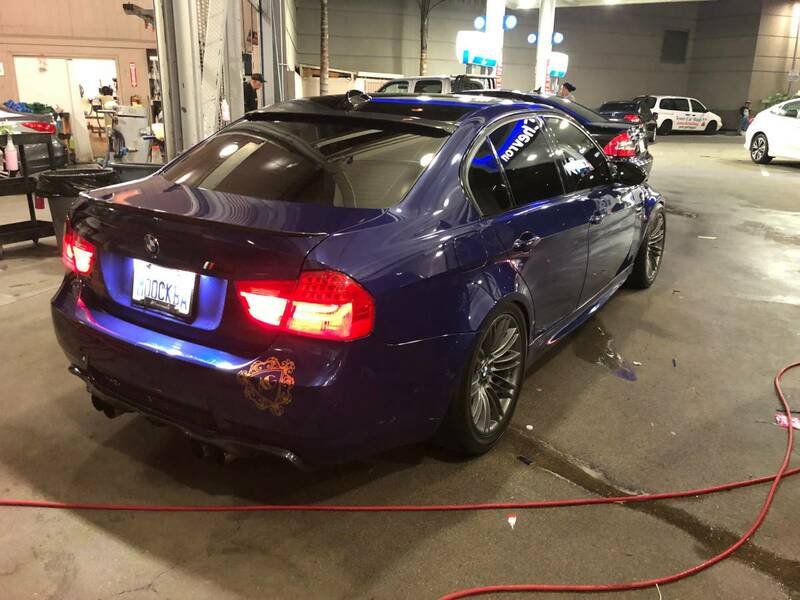 Find this 2008 BMW M3 offered for $17,900 in SF Bay Area, CA via craigslist. For all other questions feel free ..
Not rush seller , weekends car . If you got suv or full size Cargo van we can talk about trade . Other than the salvage title, I feel that Bros are the culprit. There's a point in a car's depreciation curve that Bros can afford them. They acquire them to brostance and brontificate. Wait til the Bros can afford the M4's. After the Bros are done using them for youtube drag race and clubbing, I buy them and have to painstakingly remove the sent of axe body spray and protein shakes. I guess I am a bottom feeder. You may not want to use "bottom feeder" and "bros" in the same post. The image it evokes is unsettling. Moderators, please delete my post on account of Stan making me sound really creepy. Stop bottom feeding, Sean! Just describe it as being a 'curator of depreciation curve local minima', and you can have instant internet cred again. At least it's been "fully maintenade" and "tires all around". I guess the rear bumper sticker is included, free of charge. It has DT pedigree now. Worth way more for sure. Any fairly recent M3 with a salvage title has to have been very severely damaged. If the typical fair market value of a car like this is, let’s say, $28,000 or so, that means it has to have had at least $28,000 in damage in order to be totaled by the insurance company. Even aside from that much of this ad just screams BS. To cite just one example: “Oil full synthetic Castro every 4K”? BS. First of all, the factory-recommended oil change interval is 15,000 miles. 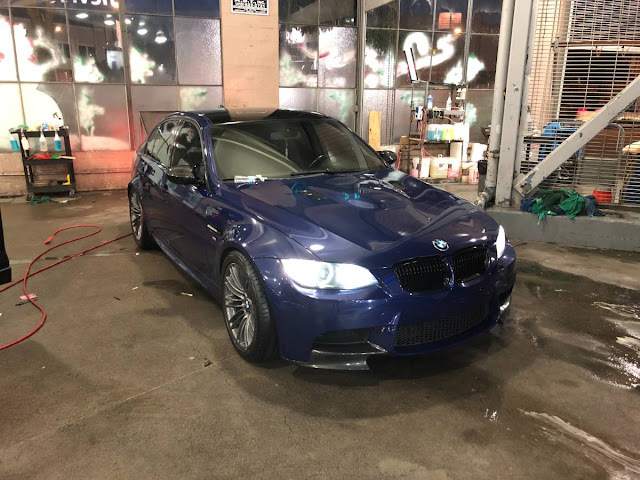 Also, I have an E90 M3, and I can tell you that the only permitted Castrol oil for that car is Castrol Edge TWS 10w60, which the dealer sells for about $22 per quart but that you can buy on-line from Turner Motorsport and other discount sources for about $14 per quart. And it takes 9 quarts, so with the filter, you’re looking at $150 or more just for the oil and filter. NOBODY does that every 4000 miles when the recommended interval is 3.5 times that. I mean, I do change mine more frequently than 15K miles (maybe every 9000 miles or so), but anybody who says they do a $150 to $200 oil change on that car every 4K miles is a liar, an idiot, or more likely both. Dunno, on my e46 M3 I changed the TWS every every 5k miles. I'm not a liar, so maybe I'm an idiot? I'd argue it's equally idiotic to take BMW's oil intervals (which mysteriously got lengthened when they started picking up the tab for maintenance) as gospel.